A delightful charmer, Blackman always pulled himself together for major occasions and spoke at three openings at my Melbourne and Sydney galleries, most notably launching our landmark exhibition The Antipodeans in 2003. 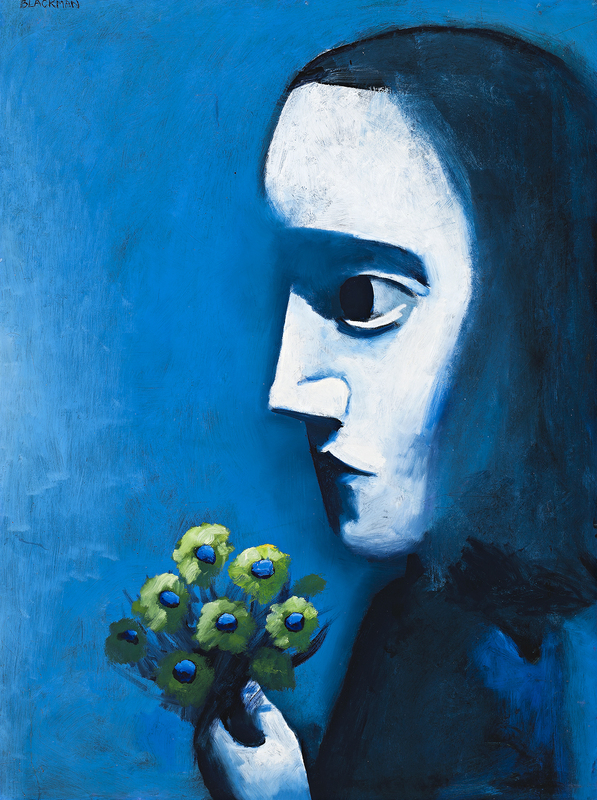 Although Charles Blackman received strong critical notice for his now-famed Alice in Wonderland paintings, it was his subsequent series of young girls and flowers that truly found him popular acclaim. First exhibited in early 1958 at the Terry Clune Galleries in Sydney (where purchasers included the Art Gallery of New South Wales, Sydney), Blackman then showed a small group at the Australian Galleries, Melbourne in June before an augmented selection travelled to Brisbane as one of the first exhibitions mounted in Brian Johnstone’s new gallery building in Bowen Hills. The financial success of this show was a major boon for the artist and particularly for his Queensland-born wife Barbara, for she was the inspirational muse for the whole series.